A simple layout or a design of tile defines the character of a home. 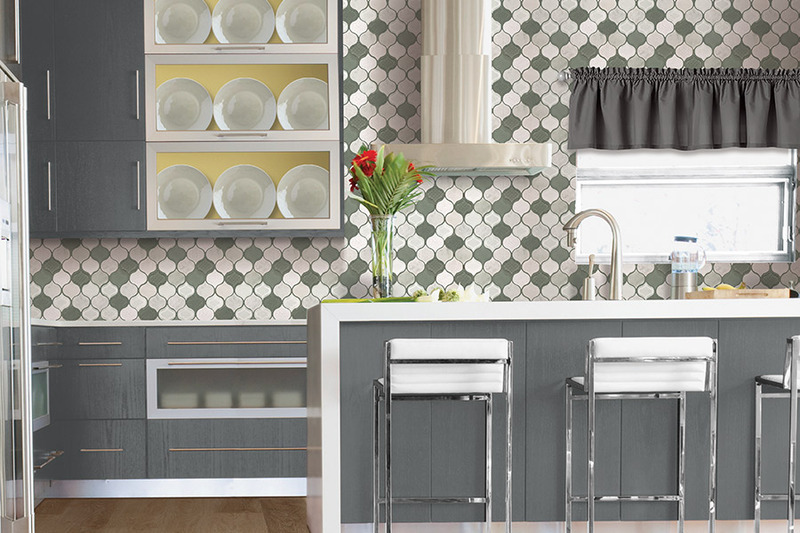 A decorative pattern takes a little more skill by a tiler than a simple layout. Sometimes different size tiles have to work together to make consistent grout lines with a flat, consistent finish. There are two main types of tile, porcelain the ceramic tile. 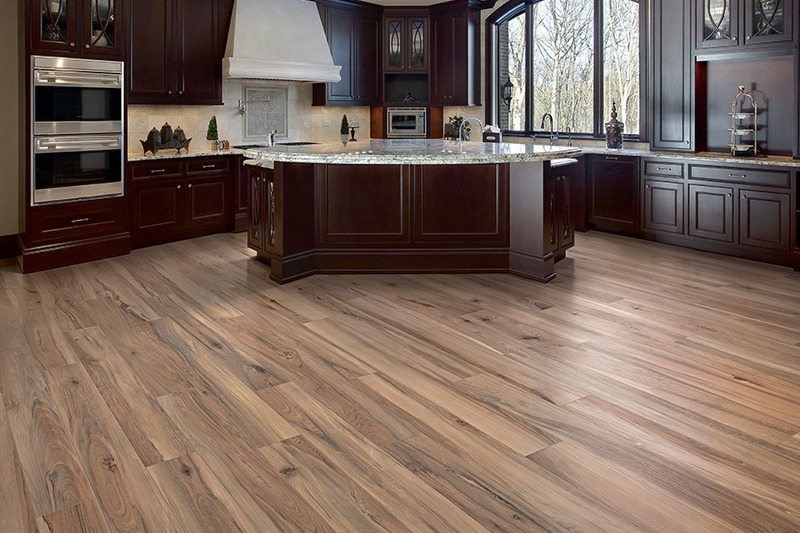 A currently popular trend is ceramic or porcelain tile that looks like wood. These tiles have a fair amount of texture and are easy to install and maintain. One way to tell if the tile is ceramic or porcelain is to look at the color of the edge. Red clay is an indication that you have ceramic tile. It chips and cracks a bit easier, but is less expensive than porcelain tile. Ceramic tile is made from red or white clay. It is kiln-dried. Depending on the project, ceramic tile is still an acceptable choice of tile. New techniques have made ceramic tile more wear resistant than it was in the past. Ceramic is easier to cut than porcelain tile. It is best placed in areas of light to moderate traffic. Porcelain tile is a little more durable. 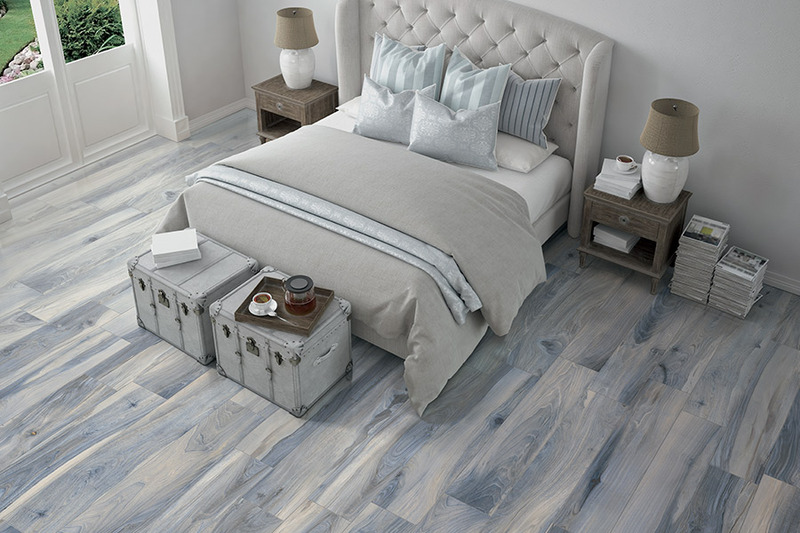 Porcelain tile is more high-end, and looks a bit more like real stone or wood. 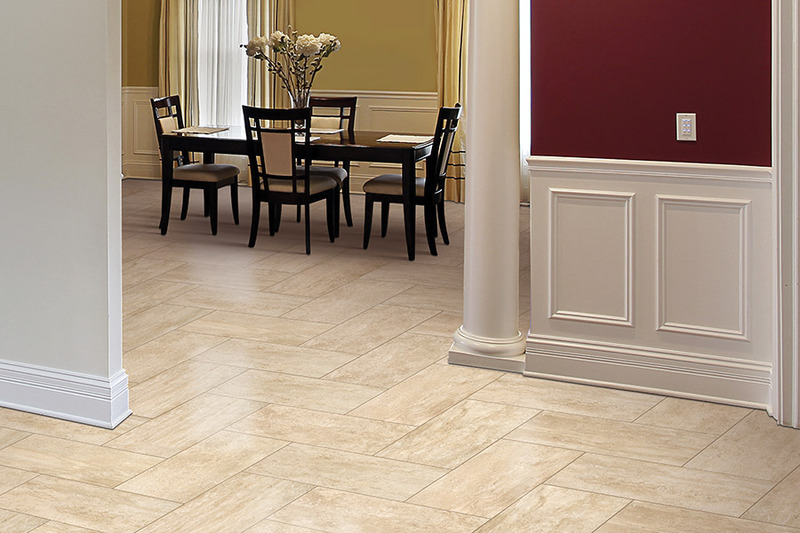 The side profile of porcelain tile has colors that match the base colors of the tile. The pressing of porcelain clays used in making porcelain tile creates a smooth, fine-grained, denser tile. 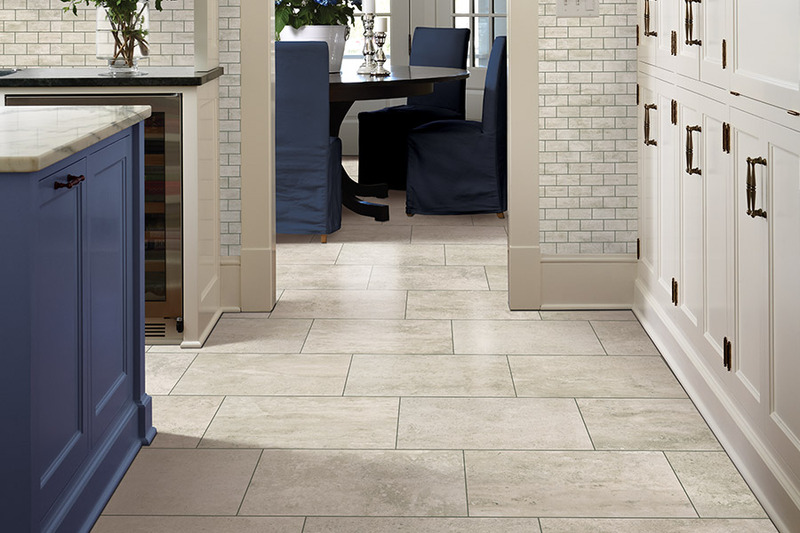 Porcelain tile is more wear-resistant and absorbs less water. Those characteristics make porcelain ideal for both outdoor and indoor use. Porcelain and ceramic tile have been used as flooring for years and years. The technology used today creates designs and applications that were not available ten years ago. All Surface Flooring stays abreast of all the latest trends. Our customers come from Fenton, Creve Coeur, Wildwood, Ballwin, and Chesterfield to see the new textures, shapes, sizes, and color selection displayed in our Ballwin showroom. Our goal is to provide all the information necessary for deciding whether ceramic or porcelain tile should be placed in your home. With a wide selection of colors, textures and sizes in rustic, refined and casual looks, we have always loved tile for its unlimited applications in a stylish home. Mohawk tile works for not only floors, but also backsplashes, countertops, mosaics and wall tiles. 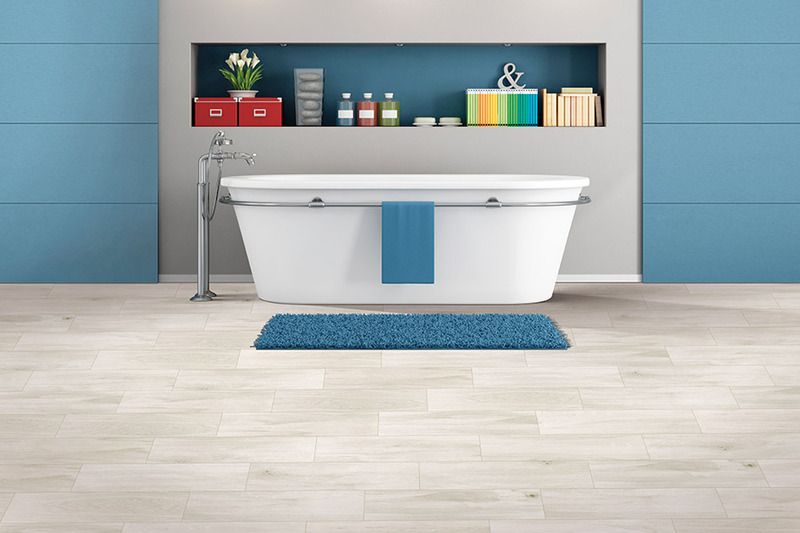 Give a bath or backsplash a modern vibe with today’s trendy long, linear tiles. For a stunning accent wall, use tile in a wood look to add texture and an enhanced warm feel. For even greater performance, porcelain is one of the hardest-working tile choices out there. Its dense material is highly water resistant and withstands exposure to freezing and thawing. For clean lines, form and function, take your home updates to the next level with brilliant Mohawk tile options for your floors, walls, countertops and backsplashes.